Luxury lakeside getaway for two at Wineport Lodge including dinner in 'The Restaurant' & breakfast in bed. Discover a hidden gem with a fabulous one night break for two in Wineport Lodge on the shores of Lough Ree. 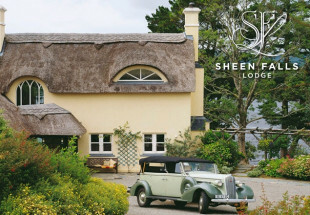 Your stay will include an overnight in a luxurious lakeshore room; coffee and home baked scones on arrival by the fire in the Bollinger Lounge; Table d'Hote dinner in ‘The Restaurant’; a lazy breakfast in bed the next morning with The Irish Times; a €20 voucher for use in The Treatment Suite and late checkout. 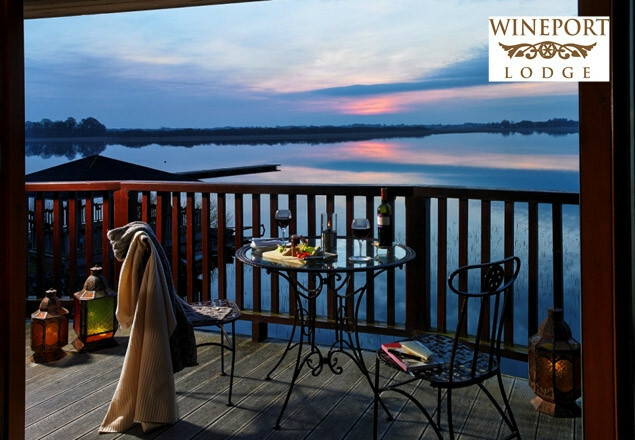 Hidden on the quiet, picturesque shores of Lough Ree, Wineport Lodge is a luxury hideaway and haven of tranquillity. Guests enjoy a haven of great food, fine wine and relaxing surrounds – the perfect recipe for a memorable stay. The boutique hotel is wooden clad, with a verandah and jetties overlooking the lake. Each bedroom is unique and uniquely named after a famous wine region of the world. As well as featuring super king size beds and spacious marble bathrooms, all rooms boast spacious west facing private balconies, perfect for enjoying breakfast together al fresco or savouring stunning sunsets. Delicious food and wine is at the heart of what dining at Wineport Lodge is all about. The “laid-back fine dining” offers excellent cuisine in an intimate, yet buzzy atmosphere. Menus change with the seasons, with plenty of surprises and adventurous twists sprinkled in for good measure. 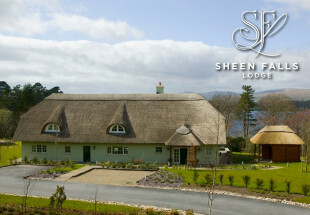 Wineport Lodge in Westmeath is situated three miles north of Athlone between the villages of Ballykeeran and Glasson on the lakeshore road. Available Sunday – Friday inclusive from January 5th to April 3rd 2014. 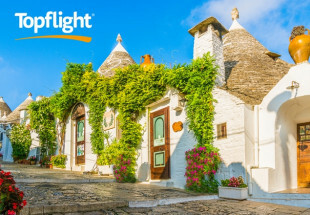 €50 supplement per room for stays that include a Friday night, payable directly to the hotel. Vouchers are not valid on February 14th or March 6th, 13th, 14th, 16th, 21st, 28th. Price is for 2 people sharing a deluxe lakeview room. €20 spa treatment voucher is per booking, which may be used on a minimum of an hours treatment.